Both versions of the Motown classic, “I’m Losing You,” by The Temptations and by Rod Stewart, are premier accomplishments in Rock-N-Roll. Each has something very particular to recommend it. Where one prospers, the other is weaker, and vice versa. Listeners may regard these almost as if they are two different songs, so different are the vocal approaches, instrumental styles, dramatic touches, and particularly the guitar work. This is a heavyweight-boxing match and the result is… a split decision in favor of Stewart. The Temptations’ rendition of “I’m Losing You” is a polished gemstone from the mid-decade '60s Motown hit machine. David Ruffin’s voicing of a disastrous relationship’s final collapse gives vent to all the soul, all the hope and pain, all the religion that can be found in the collective African American spirit. His performance rates among the best Soul turns in Rock-N-Roll. The singer – and prosecuting attorney – is tender, hurt, angry, aggressive, hoping and hopeless. He cries out against not simply the surprise injustice of his woman’s leaving, but rails against the true nature of the universe. Random "choice" with no logical pattern or continuity is disturbing to most people. He sings about the randomness and the uncaring current that runs through existence. (In another setting he would be singing, “How can God be doing this to me? Sweet Jesus, save me!”) Order has turned into chaos. It is in his sorrow-steeped singing if not directly in the lyrics (which do contain phrases like “controls your very soul,” “in the air” and “it’s everywhere”). Motown in its heyday produced records that relied on vocal virtuosity, from Ruffin to Levi Stubbs, from Diana Ross and The Supremes to Smokey Robinson and to Gladys Knight. Musically, there was a certain level of excellence that the house band The Funk Brothers achieved time after time. But it was a group of musicians who consistently hit doubles and triples, rarely home runs, and never a grand slam. The musical backing seems never to take off properly, although there is a hint of the Psychedelic Funk that would become a staple in late-'60s and early-'70s black music. Although the music is technically perfect, it seems stuck in second gear when we can tell third gear is right there at the band’s fingertips. Before moving to Rod Stewart’s version, a word about the songwriters will be useful. About 70 percent of all the songs issued by Motown, and its affiliated labels, can be accounted for by Norman Whitfield and Eddie Holland through one collaboration or another. Among Holland’s mega-mega-smashes are: “Where Did Our Love Go?”; “I Can’t Help Myself” and “How Sweet It Is (To Be Loved By You).” Whitfield’s are: “I Heard It Through The Grapevine”; “Just My Imagination” and “Papa Was A Rolling Stone.” Their songs have sold hundreds of millions of copies. Marvin Gaye doing "Heard It Through The Grapevine"
Here’s a surprise. Rod Stewart is white. He’s wanted to be black at many crossroads of his life, but he couldn’t quite get there. That aside, at the apogee of his career from the late-1960s to the early-'70s, he was one of the great Soul singers of all time. His vocals on “I’m Losing You” start out unpromisingly, especially given that the record-buying public of 1971 was thoroughly aware of Ruffin’s star-turn version. The Temptations performed “Losing You” hundreds of times in concert and on TV. 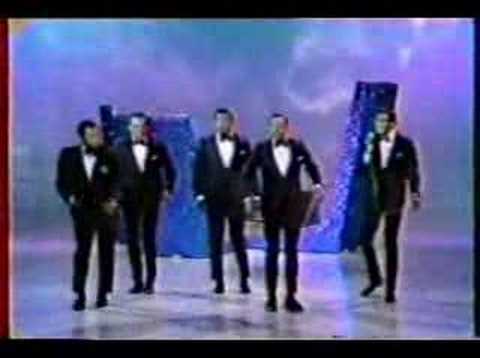 To their credit, they often sang it live for television rather than lip-synching, often slightly re-interpreting it. Stewart’s emotion twines around the tree of love and blossoms darkly. At that point a promise emerges that is quickly underscored by a background hum-hum-hum hum-hum-hum by The Faces that economically sums up all previous Motown backing vocals. From there, Stewart and the band build and build until they create a firestorm in the instrumental break. 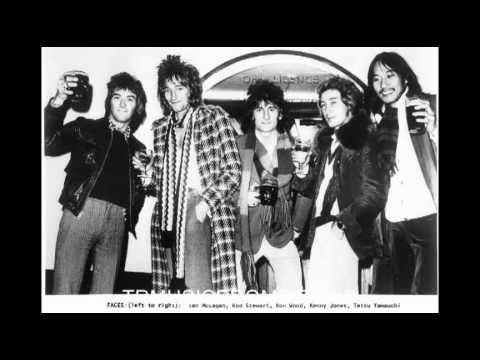 The Faces, (led by Kenney Jones’ caffeinated drumming – pounding, pawing, heart-stopping – and by Ian McLagan’s rockin’ rhapsodies on the piano), forge a lengthy break that nudges “I’m Losing You” into the top 200 Rock songs of all time Hall of Distinction. It should be noted that upon the death of The Who’s pre-eminent first drummer, Keith Moon, Jones stepped undaunted into the vacant seat. His solo here is a must-listen for any fan of the big-bang school of drumming. Not enough can be said about Ronnie Wood’s guitar playing throughout “I’m Losing You.” Clean picking creates nuanced secondary melodies with an easy, almost country offhandedness; he funks up the pace with deft rhythm licks and writes a fat chapter in the book on Psychedelic Soul. He schools Motown in the art of the guitar. In his playing you hear many of the styles he would execute and enlarge upon when he played with The Rolling Stones beginning in the mid-1970s. Stewart, who strangled his own achievements later in his career, finally catches the wind the band is generating and by the coda, he delivers the vocals the way they are meant to be. “I’m Losing You” puts another jewel in the crown of blue-eyed soul. The Temptations are mighty and Stewart and The Faces boldly took them on. Anyone who listens to the pair of interpretations is enriched by the efforts of both groups. Rare Earth did a Psychedelic Soul version that charted higher than either The Temptations’ or Stewart records did, once again showing that there is no accounting for taste.